The Hotone Cybery Loop Switcher is a powerful addition to any messy pedalboard, with the addition of MIDI and Bluetooth capabilities to provide further control over your rig. Featuring four programmable true-bypass loops to organise your pedals, the Cybery ensures your signal always remains consistent, while the built-in input buffer protects your high-end and harmonic content. The MIDI section features connectors for MIDI in, MIDI out/through, and USB, offering extra control over pedals, multi-effects and more. The Bluetooth module lets you take control of the Loop Switcher via your phone, removing the need for complex and annoying hardware programming. Also featuring a mute/tuner function for added versatility, the Hotone Cybery Loop Switcher is the ideal companion for guitarists wanting to bring order to their rig. 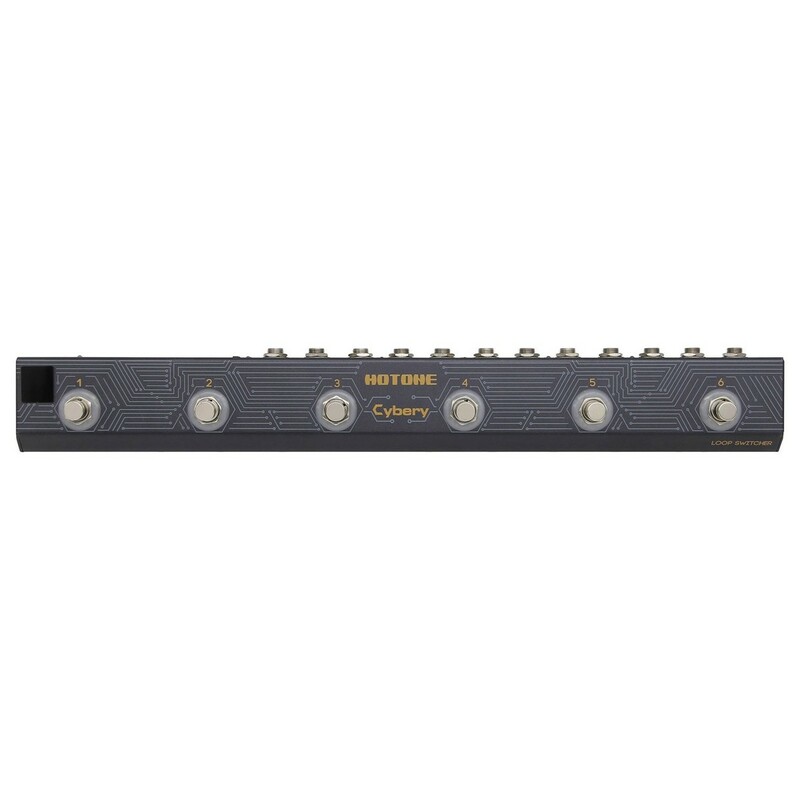 The Cybery is a compact and rock-solid loop switcher with four programmable sections to bring order to your rig. 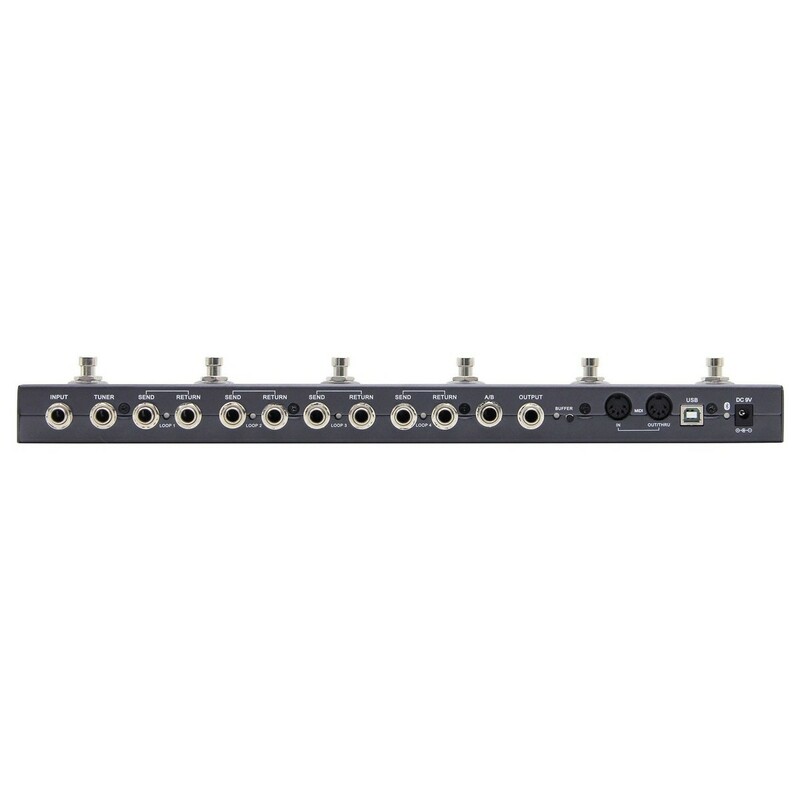 The independent loops feature a relay-based true bypass setup, while the switchable high-quality input buffer ensures your high-end frequency remains firm and prevents any loss of harmonics. The SW A/B switch is perfect for switching between channels on your amp, while the independent tuner output ensures your guitar always remains in tune. A special feature of the Cybery is its two switching modes, offering the choice between the direct mode’s instant access or the preset mode with 40 programmable presets to create a variety of different combinations to suit your playing style. The addition of MIDI and Bluetooth expands the Cybery’s performance capabilities, allowing players to seamlessly integrate into a wide variety of setups. The programmable MIDI control features in and out/through connectors, along with a USB for computer MIDI, letting you take control over pedals, multi-effects, apps, and more. The in-built Bluetooth module allows for wireless programming and control from your phone via the Cybery app, providing quick and easy adjustments to your rig.